Page Master Designs Online: Let it snow, let it snow, let it snow...again! Let it snow, let it snow, let it snow...again! Hi! I decided to switch today's post. 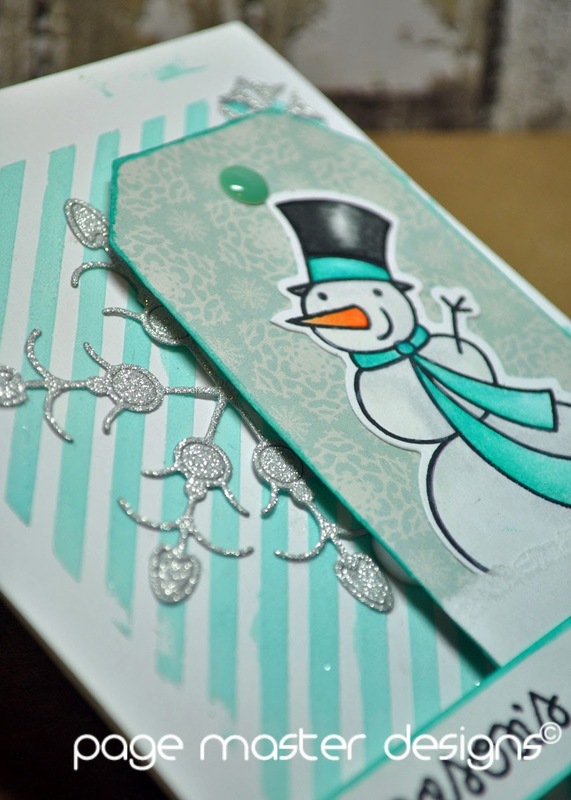 I am loving the theme over at Simon Says Stamp's Wednesday Challenge Blog....SNOW. I absolutely LOVE Snowmen. These from Paper Smooches are some of my favorites and I just had to have them the second I saw them. Another new to me product that I am absolutely loving is Embossing Paste. OH MY!!! This stuff is just FUN, FUN, FUN! 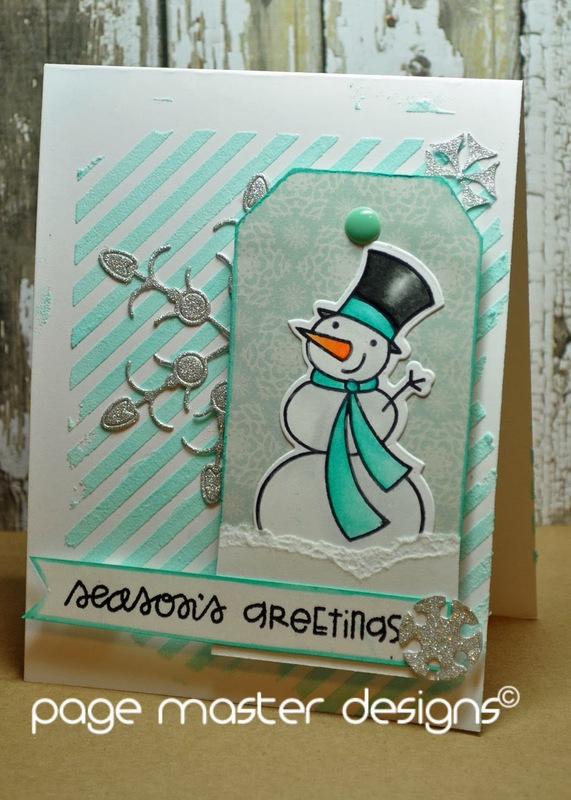 For this card I used the Simon Says Stamp Ho, ho, ho stencil and embossing paste colored with some Picked Raspberry Distress ink reinkers. Just a drop gives you incredible color. It only took a short while to dry too. I stamped and die cut the snowman and colored him to match. Here's a close up of the embossing paste. It gives dimension but not too much. It is just perfect. For this card I used Simon Says Stamp's diagonal stripe stencil and a little bit of Hero Arts Tide Pool Dauber for color. I just LOVE this color. Patterned paper is from My Mind's Eye. That is all for today. We are in for our first real accumulation of snow this weekend. As much as I hate the cold I admit I am a little excited to stay in all cozy and stamp for the day. Both fabulous cards Michelle, lovely colour schemes and brilliant use of the embossing paste.......both sweet images!! OMG I'm having a crafty heart attack right now! These cards are THE BOMB!!! I looooooooove the pink! ACK! SO great. :-)Merry Christmas Michelle!